According to an article in The Atlantic, the initiative was inspired by a study revealing that many habit-forming behaviors develop during childhood. Researchers decided to teach young German children how to deal with negative emotions — like boredom and frustration — early on with a program that required educators to remove all distracting objects, such as toys, from preschools and kindergartens for three months out of the year. During that time, teachers are asked to observe rather than direct the children’s play so that the kids may have the opportunity to develop fundamental skills. While I believe that scientific research can teach all of us something valuable, that knowledge must be applied appropriately. In this case, I feel that the outright removal of all toys in early childhood classrooms is both extreme and counterproductive. Rather than compelling children to learn through elimination, I firmly believe we must support their development and growth by offering them a range of opportunities to learn from the world around them. Children have a wide variety of methods for learning; what works for one child may not work for another. However, nearly every child between ages three and six learns through play, and toys are often a pivotal part of that learning. 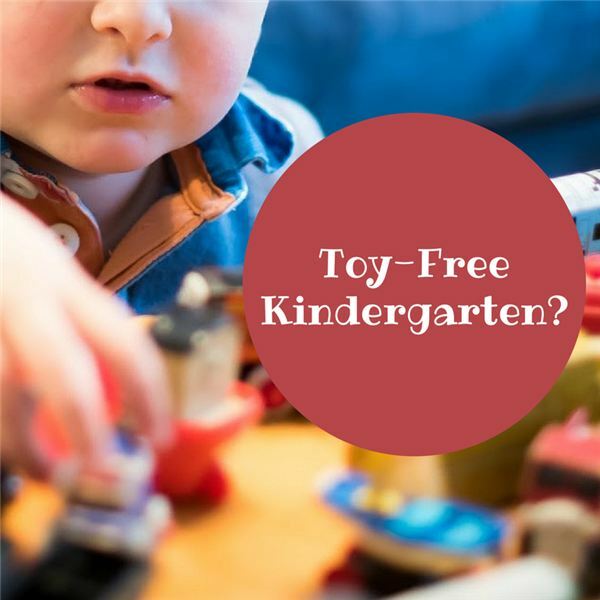 Toys give way to imagination, creativity, and — when used in conjunction with educational curricula — the development of countless skills that will be used throughout a child’s life. There is no doubt that in my practice, therapeutic play through toys, games and activities is paramount to skill acquisition. Children are frequently so wrapped up in their play that they do not even realize they’re working at the same time. Sure, not every toy is the epitome of educational advancement. However, eliminating toys and reducing the variety of children’s experiences is simply not the answer. Instead, parents and educators must focus on creating early education environments that aid in the development of integral social, cognitive and motor skills. Following are some ways we can achieve that. Many children enter preschool or kindergarten straight out of a full-time home or daycare environment. They have never been in a school setting before and are unfamiliar with the rules, expectations and routines that come with the territory. They also enter at varying levels of preparedness: Some have been exposed to reading and writing while others won’t even know how to hold a crayon. It is critical to ease young children into the classroom so that their first exposure to school is as positive as can be. Start out by assessing everyone’s strengths and weaknesses and adjusting your teaching style accordingly. Introduce new rules, lessons and skills a little at a time. As the year progresses, they will grow more accustomed to their new environment and be ready to take on bigger challenges. For the majority of kids at this age, life revolves around play. It is, after all, how they have learned about the world since birth. When they are suddenly expected to conform to a new routine and limit their free play at school, many children struggle to adjust. Sitting still, staying on task and finding enjoyment in educational lessons are common challenges young kids face. Most pre-K and kindergarten-aged kids are right on the cusp of outgrowing naps. That doesn’t mean they have the stamina to make it through an entire school day. With so many different activities to engage in and so much new information to process, kids often become cranky and unfocused as the day goes on. Be mindful of young learners’ limitations, and give them regular breaks. Researchers have found that kids this age learn better and experience stronger social and emotional development when they’re given plenty of exposure to physical activity and unstructured play. So build plenty of opportunities to move and unwind into their daily routines. The last advice is simple: Never limit your kids’ opportunities to learn. Be open to using anything and everything that will make your children excited about learning — from toys and electronic devices to books and art supplies or even objects from home. You never know what is going to make an impact on each kid. The German toy-free education trend is definitely getting more attention these days. I firmly believe that the best way to support the development of all young children’s cognitive, motor and social skills is by establishing educational environments that never limit opportunities to learn. Marwa Abdelbary is a physical therapist and co-founder of Tiny Tots Therapy, LLC. Tiny Tots Therapy’s multidisciplinary and multilingual team consists of dedicated and talented occupational, physical, and speech therapists; with the collaboration of various pediatricians, counselors and psychologists, they meet the growing needs for individualized quality therapeutic services for your child. Connect with Tiny Tots Therapy on Twitter.